Ah candles, how I love thee. Even though burning candles a lot can be problematic and not great to do on a daily basis as a treat they're wonderful. As I've always enjoyed having candles in my environment I've tried so many ranging from the dirt cheap to the seriously luxe and I've rounded them all up into a handy little guide for you today. DIPTYQUE CANDLES: Out of all the candles on the market and if money was no question I'd always choose to buy from Diptyque. Their scents are just beautiful as well, of course, is the classic luxury branding and just the whole aesthetic is dreamy. Of course, they are hideously expensive and not a feasible home scent option for the vast majority of us but as a treat now and again or even better as a gift they're truly stunning. Bearing the high price tag in mind they do burn incredibly well and they instantly fill in the room with whatever fragrance you've gone for. Even when they're not lit you can still detect them so you can really get your monies worth out of them. My favourite scents from the brand are Ambre, Baies and Vanille. OSKIA ROSE CANDLE: Of course, we all know Oskia for their skincare but their candle is lovely. Not only does it kick off a dreamy rose scent but the jar is beautiful and it makes the perfect makeup brush holder once you're done with the candle. But when lit and the wax melts you can use it as a massage oil and it's incredibly hydrating to the skin so it's a wonderful treat not only for your nose but your body too. For this reason, I think this candle is perfect for the beauty lovers out there and not so much for the people who only care about the fragrance. 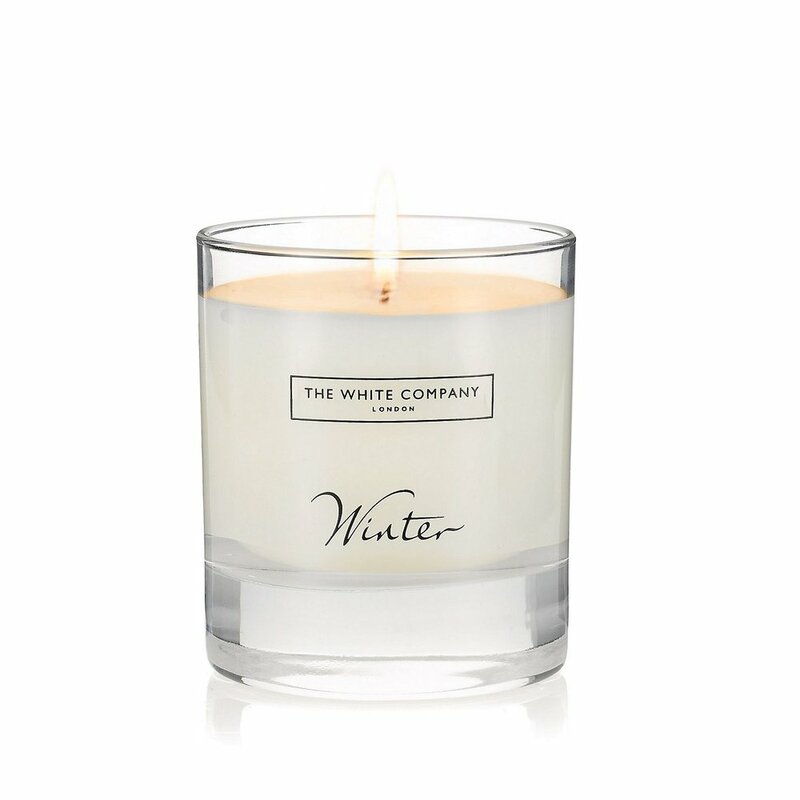 THE WHITE COMPANY CANDLES: What I love about The White Company is that they have a large array of candles all at different price points and they're constantly bringing out new fragrances. Their price point just sits at the bottom of the luxe candle world so they're not the cheapest but they're not eye wateringly expensive either. They burn ok, not amazingly smooth but if you look after them then you can get their full burn time out of them. If candles aren't your thing then The White Company, in general, have an incredible home fragrance section. IKEA CANDLES: I'm sure that we've all had some sort of candle from IKEA as they're just so affordable and that's what's great about them. Of course, as they're so cheap they don't burn or last incredibly well. But if you just want a quick fix to scent your home then they're great and they're tea-lights are particularly good for the price. TIMOTHY DUNN CANDLES: I got introduced to the Timothy Dunn brand last year and they really are something special. They are a luxury option so if cost is no problem to you then they're a beautiful company to shop from as it's a family business. Their scents, in particular, are absolutely stunning and they burn incredibly well and last so long so you're really getting your monies worth in that respect. PRIMARK CANDLES: I don't really shop in Primark all too often as it's not a store that I like that much. But their candles are surprisingly good and a lot easier to get your hands on than IKEA's. They have seasonal scents and then a few classics so you're never stuck for choice and they like to put a twist on things too. I find in general they burn the best out of cheaper candles that I've tried as long as you make sure that you're burning them evenly and trimming the wick regularly. JO MALONE CANDLES: Whenever it comes to Jo Malone I'm more than likely going to be a fan of anything that they do. They sit at the same price point as Diptyque and I find the two are very similar in terms of quality and the way that they perform. However, their library of scents is completely different and they match up to their perfumes. So if you know you love a particular Jo Malone fragrance then it's great that you can pick it up in candle form too which is awesome.